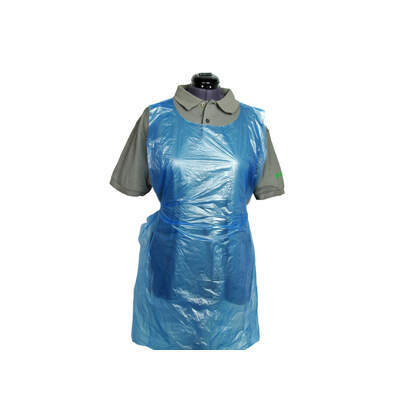 Our disposable polythene aprons on a roll protect clothes from liquid spills and splashes and form part of an effective infection control strategy. Made from 10 micron polythene, our single use premium disposable aprons on a roll are liquid resistant and prevent the transfer of fluids, perfect for catering, cleaning, dentistry, first aid and medical procedures. The roll pack allows the easy non-stick hygienic removal of each apron. A Dispenser for Aprons On A Roll is also available, improving hygiene and ease of use. 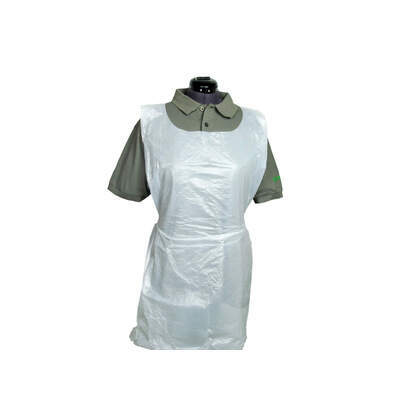 Economical - save time and reduce your laundry costs by never washing aprons again! Shoulder to above knee length. Dimensions: 1070mm x 700mm. 200 aprons per pack. Which colour do I need? 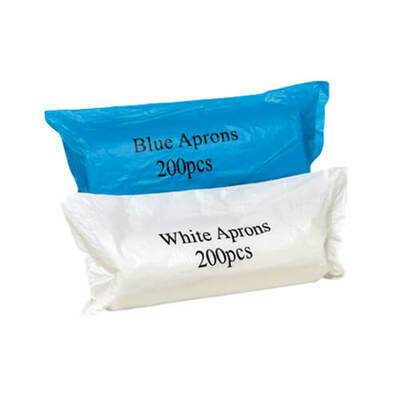 If you need a larger apron in a wider variety of colours, why not try our .